Are you looking for a new theme? Maybe a business theme? But its got to be mobile friendly. If so, I have a great theme for you. Just last week StudioPress released a new theme that not only looks good on a desktop, but it will also look good on any mobile device and any screen. On January 26th, StudioPress released their latest theme, eleven40 Theme Child Theme . The new theme is the second theme released by StudioPress that was developed for mobile devices. It uses responsive design so it will look good on any screen size. eleven40 is also their first theme that extends the design out to 1140px instead of the normal 960px wide designs we normally see on a StudioPress Child Theme. Besides the responsive design and the 1140px width, eleven40 Theme Child Theme comes with four layout options, six color schemes, custom background, featured images, and threaded comments. 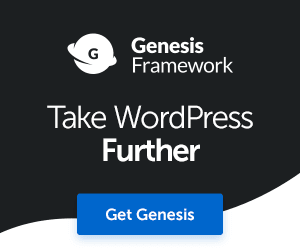 Plus, you get all the added features of the Genesis Framework. If you want to use a eleven40 Child Theme by StudioPress, you must use the Genesis Framework as well. The framework is the parent theme and its code is what makes StudioPress so powerful. The creators of StudioPress designed the Genesis Framework to add replace some features in the core files of WordPress. They also add SEO features to the configuration files and SEO fields the article editor. This way you can use their powerful SEO tools instead of using a plugin to do it for you. When you purchase the Genesis Framework, you get unlimited support, unlimited easy updates, and you get lifetime access to the support team and staff. For more information and to test drive the new theme, check out eleven40’s information page.